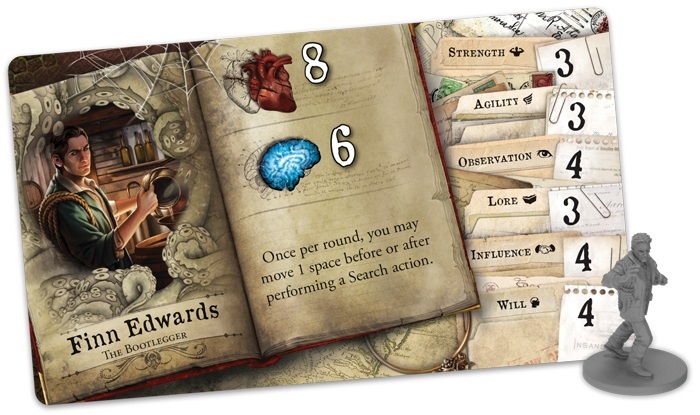 Fantasy Flight Games has a new preview of the Mansions of Madness expansion Streets of Arkham – It’s the Hero’s turn! 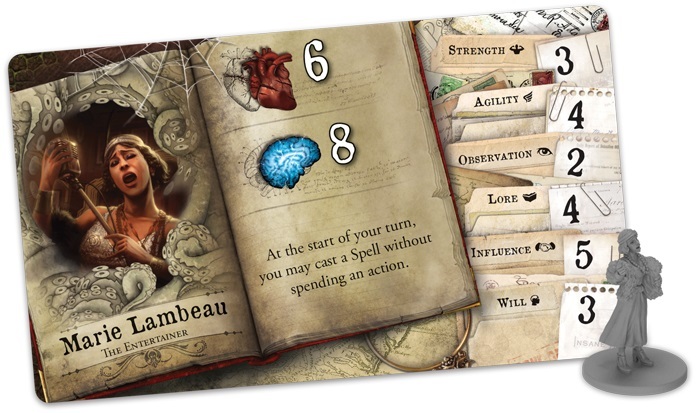 when it comes to Hybrid Games (ones that combine Digital components and physical board games) Mansions of Madness Second Edition won us over. 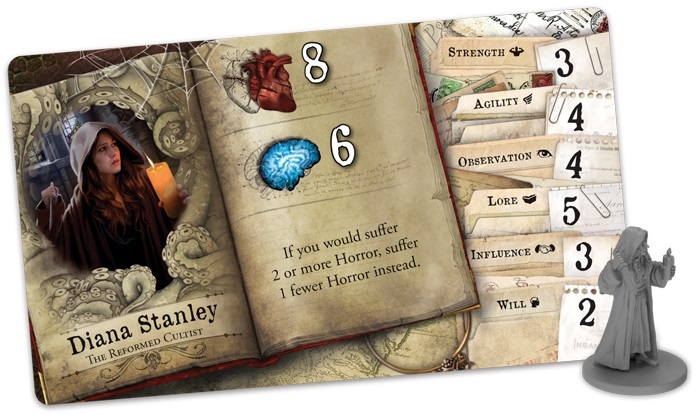 It’s a fantastic game overall with an engaging story, fun puzzle mechanics, and all the great/creepy atmosphere that we’ve come to love about the Arkham Horror Files universe. Streets of Arkham is the next expansion for the game which adds three new scenarios, new events, more tiles, and more…everything! Today we’re going to take a closer look at the 4 new heroes that are included in the box. Marie Lambeau has a gift for singing – some folks say she’s quite enchanting. But her vocal range wasn’t the only thing Marie learned in the bayou of her home. She also has a knack for the arcane. In game that is reflected with her ability to cast any Spell without spending an action. That’s going to be very useful to overcome the terrors that go bump in the night! Luck is a lady tonight! Diana Stanley was a new business owner when she was inducted into the Order of the Silver Twilight Lodge. Perhaps it was just for the business connections or the access to the social elite – but after those meetings turned darker, something in her snapped. No longer could Diana stand by and watch Arkham be consumed for forces most folks couldn’t fathom. She works from the inside to bring these twisted cults down. Not only is she bringing a healthy Lore stat but her mind has been steeled against horrors that would drive most people insane. Her unique ability reduces the amount of Horror damage she takes 1 any time she would take 2 or more Horror. Combined with her 8 Heath and she’s in this for the long haul! Finn Edwards is a business man. His business just happens to be the expert transportation of questionably legal “party favors” – hey, it’s prohibition after-all! Unfortunately for Finn business has been interrupted by some “unexplained phenomena” around the city of Arkham. If he wasn’t to keep running moonshine he’s going to have to figure out who, or what, is messing with his cashflow. The good news is he’s got the skills to get around town. Finn can move 1 space before or after he commits a search action once per round. That’s going to help him stay one step ahead of whoever is after him! 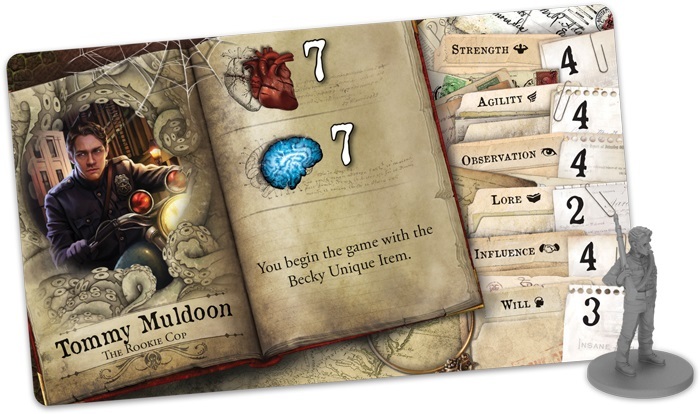 These four investigators may not see eye-to-eye on all the little details but they have a common goal – save their city and it’s inhabitants from the forces of otherworldly evil. The Streets of Arkham expansion is up for Pre-order right now! 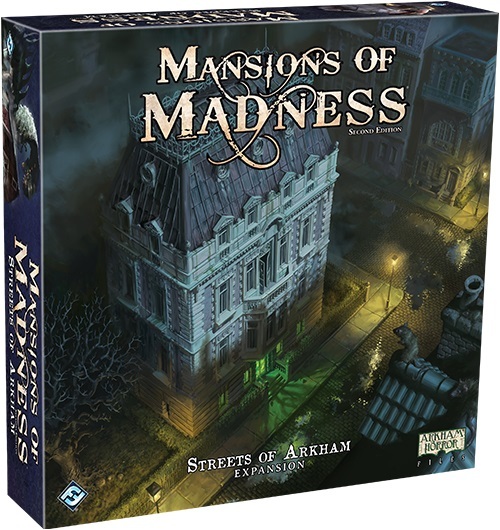 Streets of Arkham is an expansion for Mansions of Madness: Second Edition in which investigators must confront the horrific secrets behind Arkham’s failing facade of normalcy. 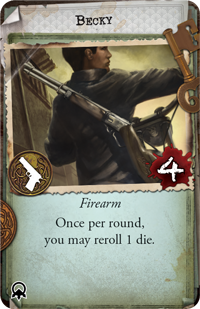 From the campus of Miskatonic University to the gang-run speakeasies and storefronts, investigators face threats on both the supernatural and worldly fronts. Only with their wits, grit, and the occasional opportunity to unlock hidden potential can they overcome the threats to the city- and their lives. Officer Muldoon: Mr. Edwards, what exactly do you do again?